Within the framework of ISH, the world’s leading trade fair for bathroom experiences, building, energy, air-conditioning technology and renewable energies, we discussed the question of our life in the cities of the future and the contribution of architecture to quality improvement, which is summarized in the following introduction. • How can architecture contribute towards making cities more human and bearable? • How will future cities shape architecture? • What is the impact of the fusion of analogue and digital for architecture? • How will new architectural designs influence our future homes? • What do architects expect from energy- and water-saving technologies? Presentation and discussion with Herwig Spiegl, AllesWirdGut Architecture ZT GmbH, Vienna/Munich, Benedetta Tagliabue, Miralles Tagliabue EMBT, Barcelona, and Brian Girard, Kohn Pedersen Fox Associates, New York/London/Shanghai. A GROHE event at Forum Panorama Hall during ISH trade fair, Frankfurt/Main, on 16 March 2017. In a fast changing world extreme fluctuations are causing migration into city centres faster than ever before. 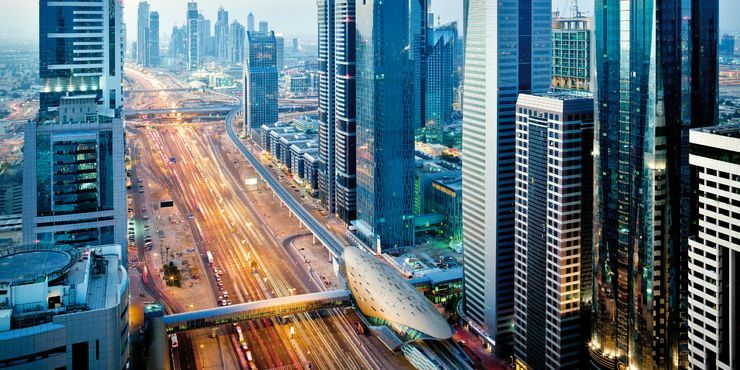 In 2050 it is predicted that 80 % of the world’s population will live in cities. This creates problems with infrastructure, unemployment, air pollution, water supply and sanitation and access to drinkable water. planners, architects, developers, investors and engineers. Three internationally renowned architects discuss how to deal with these challenges: Benedetta Tagliabue, Herwig Spiegl and Brian Girard. For Austrian architect Herwig Spiegl, Founding Partner of AllesWirdGut Architecture ZT GmbH in Vienna and Munich, predicting the future is a big challenge. An even bigger challenge is to make the right decisions and survive the future. According to Spiegl, digitalization will have the biggest impact on the future of architecture. Just take three recent examples: First, an Apis Cor robot just 3D-printed a house in Russia for just over 10,000 $ in 24 hours. Second, in the Netherlands the MX3D robot generated a 3D-printed self-supporting bridge (SLIDE 30). Third, at the ETH in Zurich a bridge was built out of ropes that have been woven by autonomous flying drones. However Spiegl adds that the real competitor to architects is the BIM model (Building Information Modelling). During the Industrial Revolution machines freed men from hard physical work and prompted a move to intellectual work. Nowadays there is not a single human being actually building the cars in a plant. According to a study by Oxford University, 98 % of most jobs will be gone in 25 years except for creative and social work and IT (only 2 %). Architects can be lucky – but are they still creative? Spiegl thinks that the way to progress is in increased efficiency: everything gets faster, cheaper and less energy consuming. Mr Spiegl envisions a possible future for architects. For once, architecture becomes an investment, defined by a consultancy but drawn and built by machines. Only some architects might survive, maybe for the upper class to design artistic buildings. However in automation there also lies a lot of potential for architecture to reinvent itself. Herwig thinks that there are two strategies for architects to stay relevant. First, be successful through innovation. For example, the text message has been in use since around 1995, until a small company called WhatsApp reinvented its usage. It was about being innovative and thinking differently – something architects have to integrate into architecture. Similarly, one of Spiegl’s older projects, ‘turnOn’ from 2000, tried to answer the demand for tiny housing spaces with flying furniture that shifts activities from the floor to the wheel bottom to save space. Airbnb has already found a solution: Instead of flexible floor plans we just change floors. Herwig Spiegl notes that another important aspect is the integration of diversity. Very often the innovative ideas spark from the bottom of a group and never reach the top. To listen to the users Spiegl and his team took the dating app Tinder as a reference and developed a ‘dream housing app’ called ‘Wohn(t)raum-Tinder’. Now they can find out what people really want and the users can give important feedback. Spiegl recommends that instead of following today’s technological inventions we should rather observe society’s changes. Take, for example, the generation gap in music streaming adoption: future generations are not interested in property anymore, streaming the music instead. Spiegl suggests that we integrate our private car in a public car pool to merge the advantages of public and individual transport. This would allow for more space and make cities more liveable. However Spiegl stresses the importance of social interactions since, despite all technological progress, cities have to be social. He envisions that in a polycentric city people could reach every destination on foot and just use driverless cars to get from one centre to the other. These polycentric cities will create identities and the possibility of identification. According to Mr Spiegl, we need cities that offer high-quality public spaces, cities that enable chance encounters. More than technological innovations, people want social quality in a city. One of Spiegl’s ideas would even be to keep the land as city property and only sublet it to the developers in order to control real-estate speculation. Spiegl tried to integrate this in his Viennese project ‘Seestadt Aspern’ for 20,000 inhabitants and the same amount of workplaces in 2013. In one of the quarters he and his team designed five houses that created a semi-public meeting-space. A second layer on the outside of one house allows inhabitants to interact from their private space with the public space via balconies. Spiegl concludes that this is how people can actually design their public space. Tagliabue tells about the transformation of the market: a formerly dense, grey, gloomy piece of the city that wasn’t connected. It took her and her team about twelve years for the realization, a process of destruction and construction. She imagined this space on top of a roof that would be visible from afar, that could explain ones inner feelings to the outside. Tagliabue regards the market’s big roof as a social act. It turned into a courtyard for everybody from the surrounding neigh- bourhoods. Tagliabue also had to deal with the archaeology. Her team tried to create a relationship between the old walls and the new architecture. Equally important, like the understanding of integration, would be creating inclusive spaces that attract different people and make them feel at home. Certainly, another important aspect of today’s architecture is the matter of sustainability. Bendetta Tagliabue takes Dutch star architect Rem Koolhaas’ TV Tower in Beijing as an example, using it to explain that it is always the architect who takes the blame. If Rem Koolhaas designs something like that, then inevitably someone will want it. However there is a collective responsibility. She thinks that it is important to be conscious and attentive and to try to generate an architecture that is sensible. 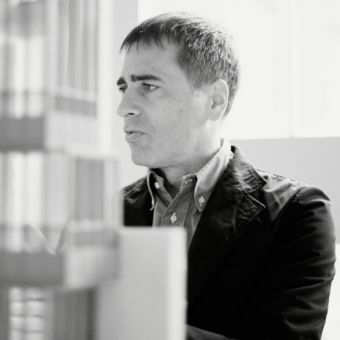 For example, the 2016 Pritzker Architecture Prize winner Alejandro Aravena has spoken about how to make affordable houses that can be partly self-built by their users. Another example would be the Catalan trio RCR Arquitectes. Tagliabue explains that they are so local that they didn’t want to move from their home-town studio, in Olot, Catalonia, a choice which enabled them to become universal. Brian Girard, Design Principal at Kohn Pedersen Fox Associates in New York, London and Shanghai, currently works on the master plan for London’s Covent Garden Estate. In this conservation area gaslights are actually being restored. Girard draws an analogy between Covent Garden and future cities. Both consist or will consist of a broad horizontal, sprawling network, open to interpre- tation and a space where people feel connected and empowered by connectivity. His idea for Covent Garden was to collapse the distance between private and public, to have a great civic space in close proximity to people living there. Mr Girard notes that this is how the traditional city worked and that there is no better typology to influence the design of the future cities. The district had London’s first square surrounded by houses in the 18th century. The contrast between the fantasy life of the theatre and the everyday working life of the market was one of its characteristic features, a contrast of rough and glamour, an entertainment place. In the 1970s the market moved out and was replaced by retail and restaurants. It became one of the major tourist destinations in Europe. During the time of the market, most of the buildings in Covent Garden were used as storage for fruit and vegetables. Now design and tech firms occupy these buildings. Today the KPF offices are located in a converted pineapple warehouse. Covent Garden is a thoroughly evolved mixed-use district with retail, entertainment, residential and office use all in one place. It is a great prototype for the city of the future because the boundaries are being blurred between different uses. KPF’s concept was to identify two hubs of blocks that could serve to regenerate the area. Although successful as a tourist destination, the surrounding areas were relatively dead. As an example, Mr Girard presents Kings Court, a mixed-use residential scheme. Their strategy was to integrate new and old architecture around a courtyard that was carved out in the middle of the block. Girard used three strategies to develop the scheme consisting of a total of ten buildings. An important aspect of the scheme was to open the courtyard to the surrounding street to become part of a network of passages throughout the district. Girard and his team planned the routes through the blocks, passing through a series of environments. With this permeable concept they were able to open up the retail fronts of a previously completely closed block. Girard states that blurring and breaking down the boundaries between inside and outside will be become more important in the future. It has much potential in terms of eroding where the edge of public and private is. Lastly they were building from within in the middle of the block by using the structure of the original properties and the grain of the place, allowing the architecture to emerge, as opposed to imposing the architecture on the context. The contemporary and the old buildings work together as an assemblage: an idea consistent with the modern concept of collaboration that makes cities so exciting. Herwig Spiegl studied from 1992 to 1999 architecture at the technical university in Vienna and during this time, he studied architecture abroad at the Mc Gill University in Canada. While his studies, Herwig Spiegl supported various architecture offices in Austria, Germany and Netherlands. 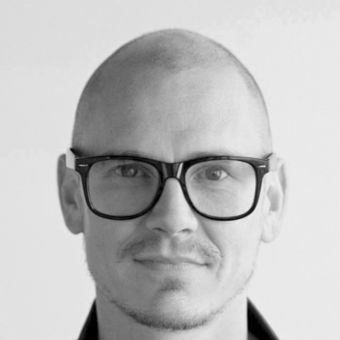 Together with the partners, he founded the architecture office AllesWirdGut in 1999. Contempora- neous he started a yearlong architectural studies at the UCL Barlett School of Architecture in London and got his diploma 2003 at the technical university of Vienna. In year 2002 the office AllesWirdGut ZT GmbH was founded by Herwig Spiegl and the office partners, Andreas Marth, Friedrich Passler and Christian Waldner. Besides, he supports the technical university Vienna as tutor of architecture from 2000 till 2007. In 2016, AllesWirdGut has opened a new office in Munich and Herwig Spiegl is now member of the design advisory board from Stuttgart, Germany. 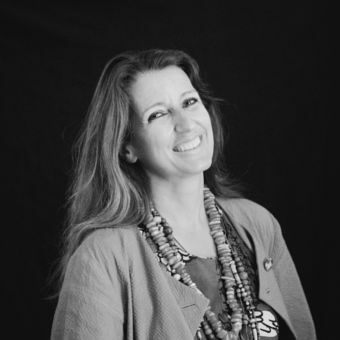 Benedetta Tagliabue studied architecture at the Istituto di Architettura di Venezia (IUAV) and currently acts as director of the international architecture firm Miralles Tagliabue EMBT, founded in 1994 in collaboration with Enric Miralles, based in Barcelona and, since 2010, in Shanghai. Her studio works in the fields of Architecture, design of public spaces, rehabilitation, interior and industrial design. Among her most notable projects built are the Edinburgh Parliament, Diagonal Mar Park, the Santa Caterina market in Barcelona, Campus Universitario de Vigo, and the Spanish Pavilion at the 2010 Shanghai World Expo which was awarded the prestigious RIBA International „Best International Building of 2011“ award. Current studio projects include the Business School of Fudan University in Shanghai, office towers in Xiamen and Taichung, public spaces of HafenCity in Hamburg Germany, the metro station Clichy-Montfermeil in Paris, France and the metro central station in Naples, Italy.